Scientists have found the secret to staying young! 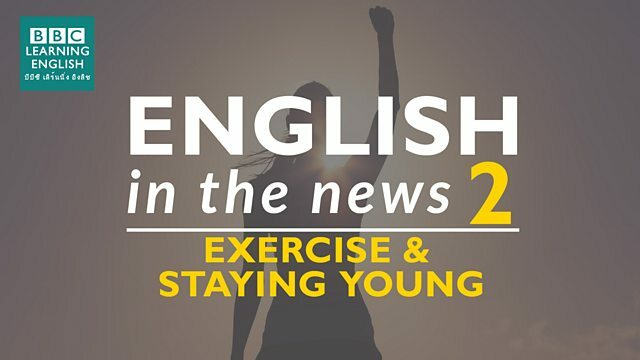 Join Sian and Clare to find out more about this news story and to learn 3 words relating to exercise. 20-year-old is used as an adjective so 's' is dropped and hyphens are added. Sian and Clare discussed two meanings of 'work out'. Which use of 'work out' is NOT correct? I'm going to ______ the gym this evening after work. You need an adjective to describe the noun 'walk'. It's a ______ walk from my house to work.